Move over gold spray paint, you’ve got a new competitor for my attention! 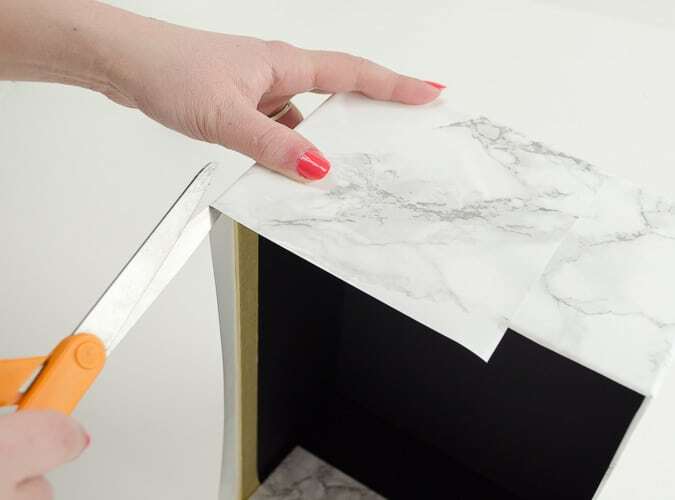 I’ve seen some crazy-good furniture makeovers done with marble contact paper online, but I admit wondering how good they really look in person. I wanted to try it out myself! Since then, I can’t stop running around the house looking for smooth surfaces to use it on. I’m hooked. Big time. I’ve threatened putting it on the granite countertops in the kitchen. More seriously, I’ve wondered if I could put it over the small section of laminate countertop in the laundry room. 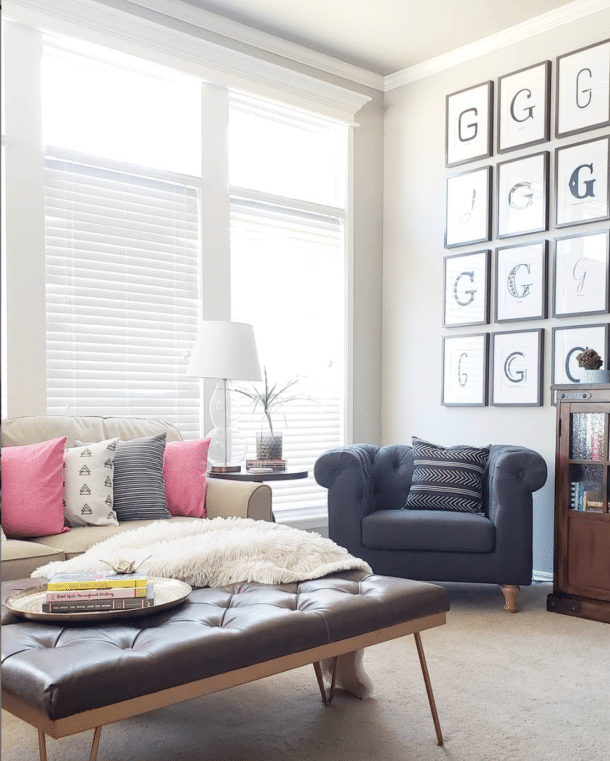 My favorite project so far blends function with pretty for the win. I linked to the photo boxes in the supply list, but if you have a Michael’s locally, watch for their sales! I may be known for filling up an entire cart with them. The function is awesome, and the kraft color isn’t the end of the world, but it definitely wasn’t something I wanted displayed in the open. 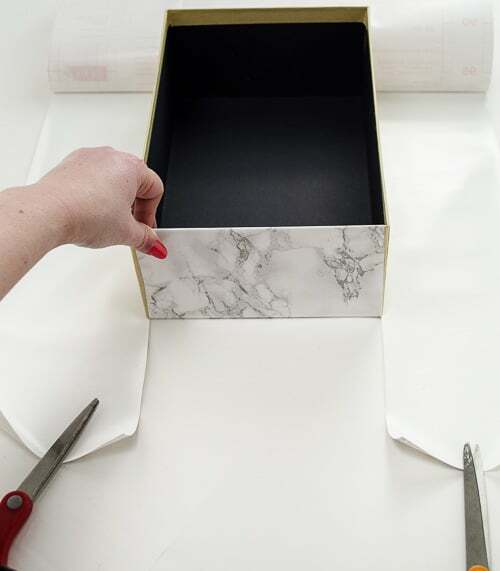 I started with the bottom of the box, and rolled out enough marble paper to cover all the sides. Then, with the marble face down, I started to peel off the backing. I STOPPED peeling about halfway across the marble so I wouldn’t have a big sticky situation. 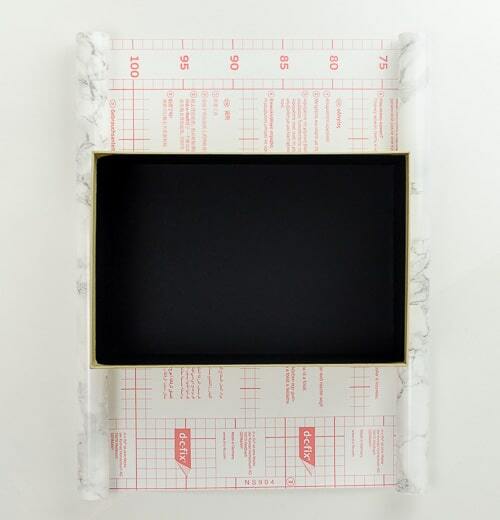 I hovered the bottom of my box over the center of the marble paper, then gently placed one edge down first. 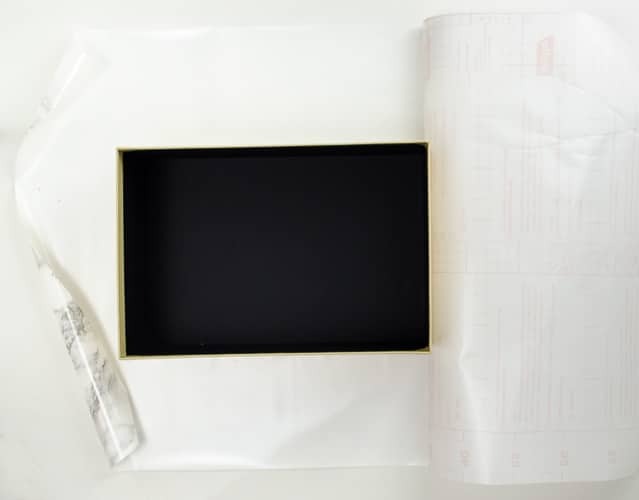 As I lowered the box, I continuing peeling the paper back just far enough that the full box was down on the adhesive. 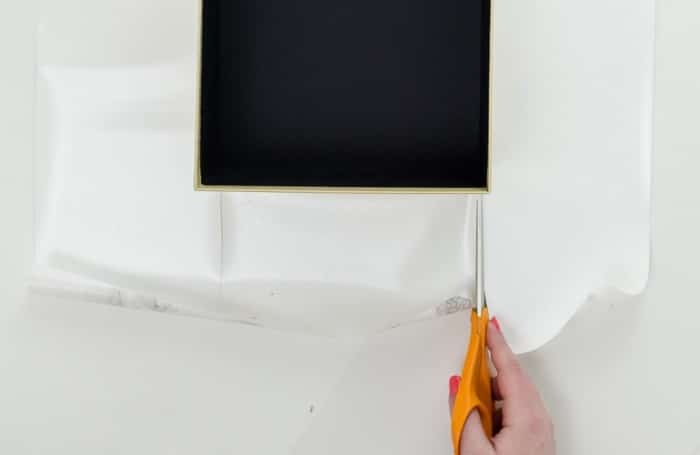 To cover the sides neatly, I cut a slit from the corner of my box straight out to the corner of the marble as shown below. Next, I folded the flap I created up and over the end of the box. After sticking the first end down, I peeled the rest of the backing off and wrapped the opposite end. With both ends adhered, I could fold up the sides. 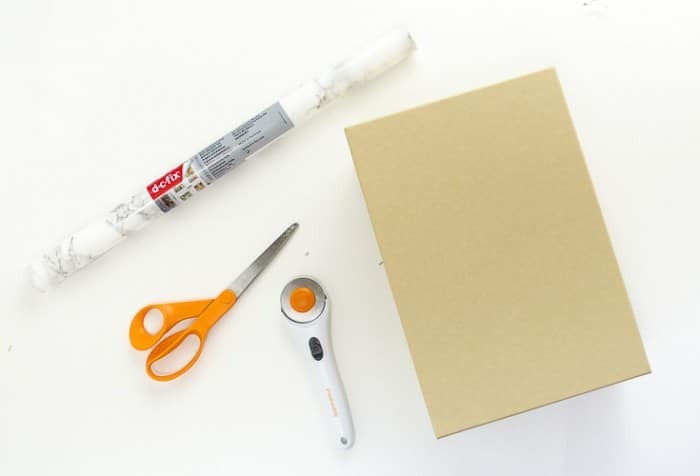 To make it easier to wrap the excess contact paper over the top of the box, I cut a small slit in each corner. After folding all the edges into the box, I had a nice finished edge. 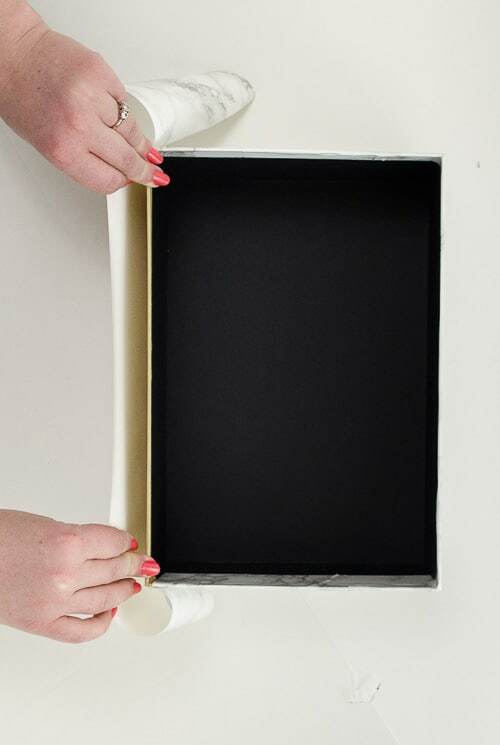 Tada, my $3 craft paper photo box is now a chic marble storage box! I repeated the same steps for the top of the box, and then raced downstairs to add it to my bookshelf. Ah, so pretty! If you play “I spy” in the photo below, you can see some evidence that I really was covering everything I could find in marble. That round marble object used to be a clear candle from Bath & Body Works. Well, technically it IS still a candle, but it’s got a whole new look! « What Do You Do With A Tart Pan & A Record? Brilliant! 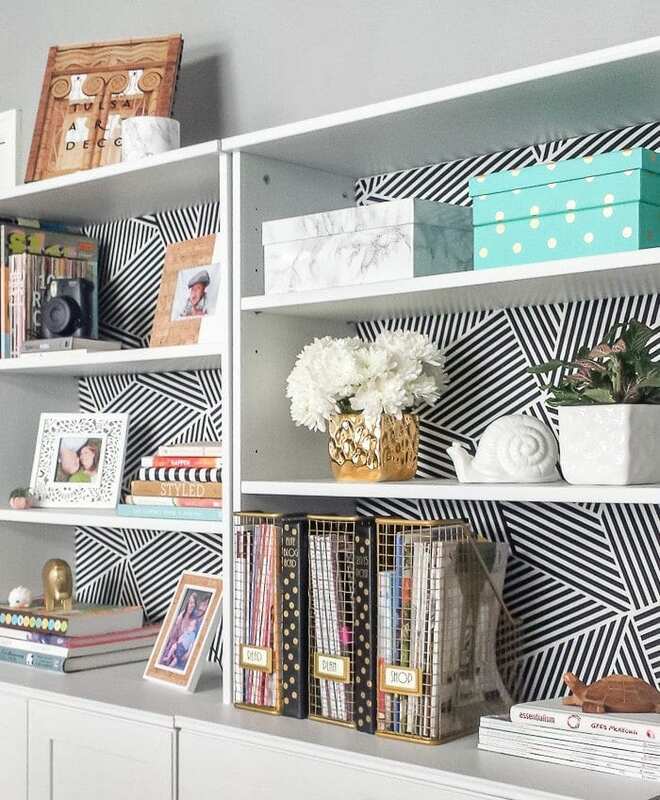 The shelves look amazing and that little marble box just pops perfectly with all your other gorgeous pattern. This seriously looks SO good! 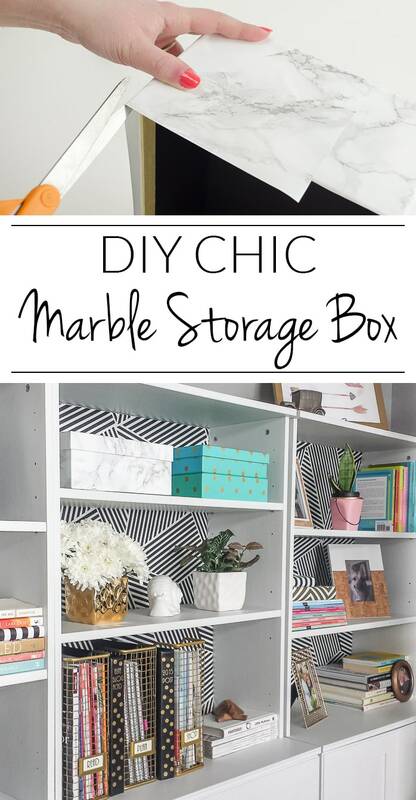 I need to have put that marble paper I’ve been hoarding to work! 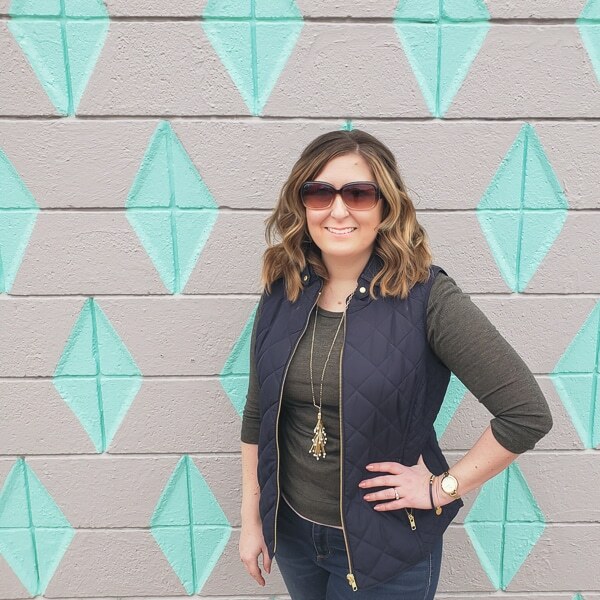 Thank you for linking up to our Pretty Project Party this week! Love this!!!!! I haven’t done a lot of contact paper crafts recently, looks like I need to get back to that. 🙂 pinning and sharing my friend. 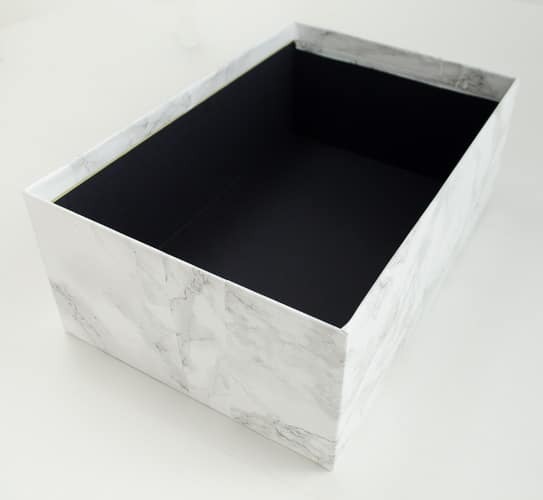 I like the idea of creating your own marble boxes (so much cheaper than buying). I’m going to try this on some round containers that I’ve been wanting to cover. Looks great, I’ll have to try that in my art closet! Love it. I’m scared of contact paper. My one and only attempt to cover school books scarred me. Any chance of a you tube how to? The video is a great idea for this one! And thank you so much! What did you do to the back wall of you shelves? The black/white?? Hi Judy, It’s fabric! 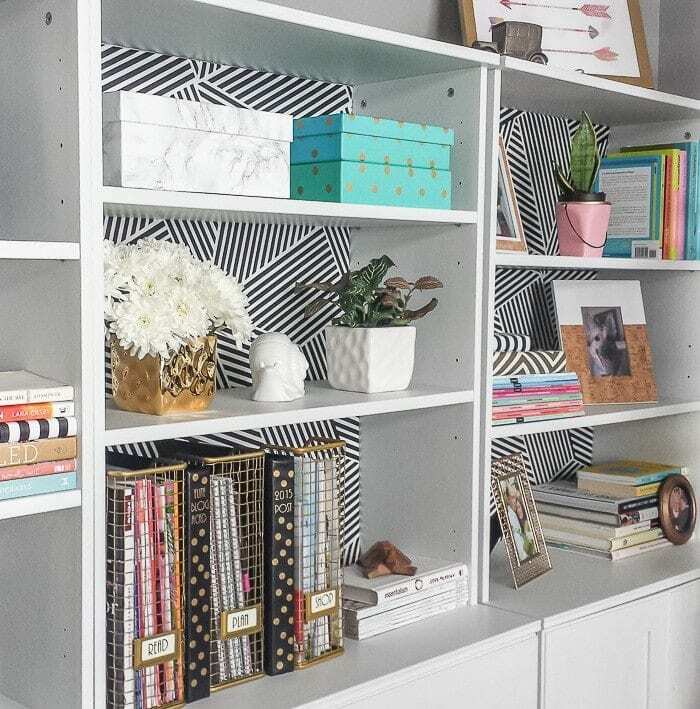 There’s a simple tutorial here: https://www.polishedhabitat.com/fabric-bookcase-back/ Just a PS since this isn’t included in that post, but when I redecorated the office, I did the same process but with a wrapping paper. It doesn’t look nearly as nice as the fabric did. Have a great weekend!